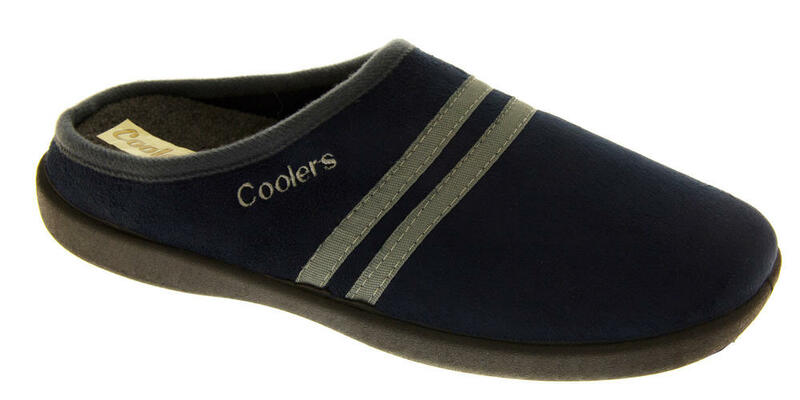 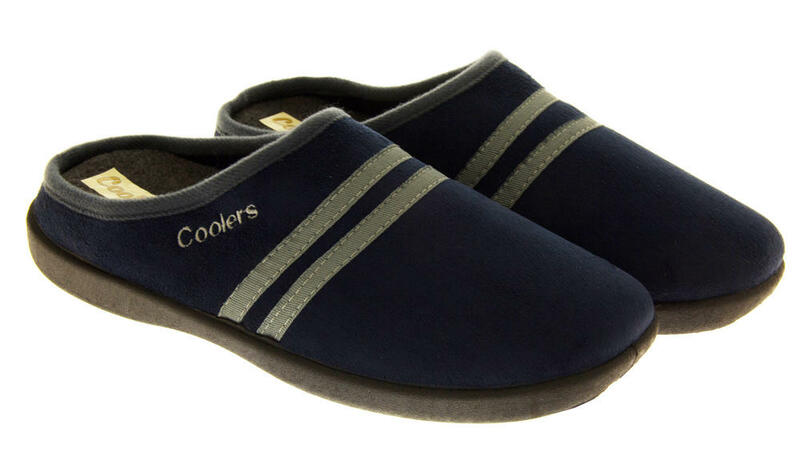 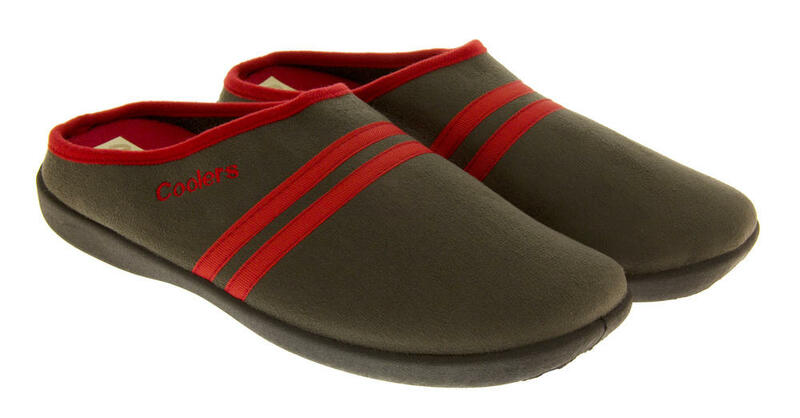 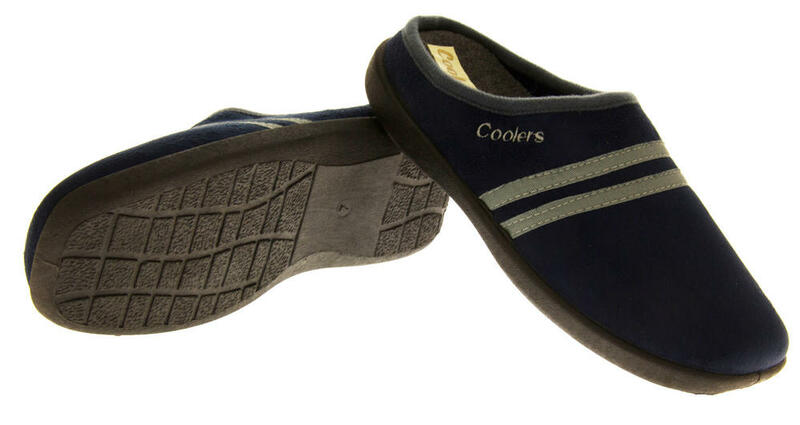 These wide fitting slipper mules from COOLERS are new for the forthcoming Winter Season, the slippers have an outdoor sole, so perfect for nipping to the car or into the garden (not recommended for use in wet weather). 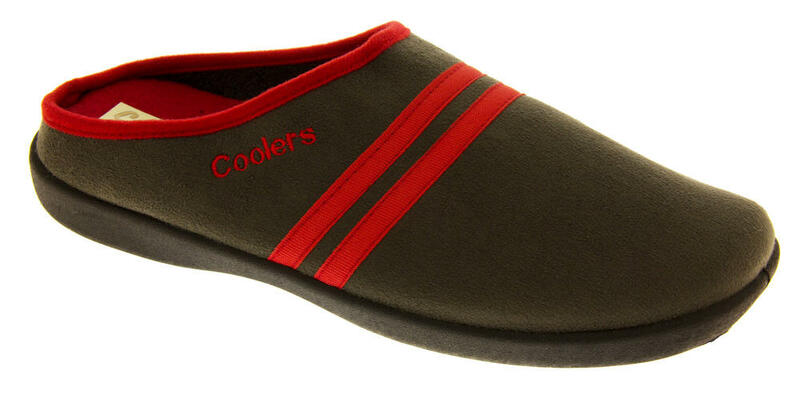 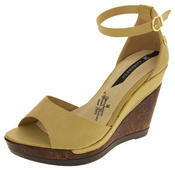 The insole has memory foam providing additional comfort and luxury. 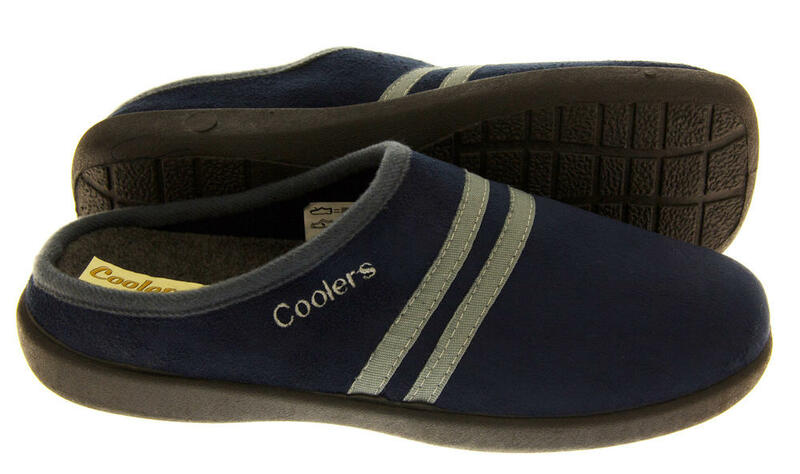 Available in 2 colours, Charcoal or Navy.